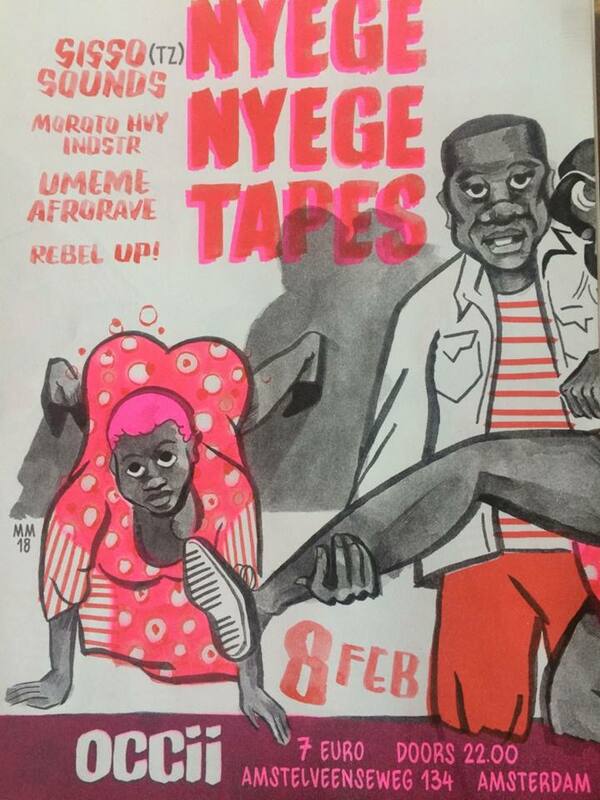 A special Rebel Up Soundclash night in OCCII with Nyege Nyege Tapes label & Umeme Afrorave. Since 2010, Rebel Up has been promoting nights with sounds from the global underground at OCCII and continues to do so with international lineups. 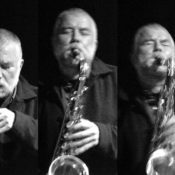 exploring, producing and releasing contemporary electronic & outsider music from central & eastern Africa. In February they will tour with Tanzanian duo Sisso Sounds, who are playing a showcase at the Berlin CTM festival and afterwards to NL & BE. This will be their only show in NL! For the past 15 years the Tanzanian megalopolis of Dar Es Salaam has had one of the most exciting underground electronic music scenes in East Africa. A constellation of micro-scenes from Mchiriku, Sebene and Segere all the way to its latest mutation of Singeli that after years of lurking in the underground finally has exploded into the mainstream and taken over Bongo Flava as the music of choice amongst Tanzania’s youth. Born in the sprawling working class neighborhoods of Tandale and Manzese, Singeli’s signature sound consists of fast paced frantic loops interlocking with each other, with influences from Zanzibars Tarab music all the way to South African afro-house coupled with mc’s who often spit satirical lyrics about the challenges facing Tanzania’s youth, from police corruption to the complications of dating girls when you are broke. If there is one studio that stands out amongst the hundreds that dot Dar es Salaam’s musical landscape it is SISSO RECORDS. Sisso have remained uncompromising in their sound, always raw, fast with a punk DIY aesthetic that can at times verge on noise and gabber, to produce a spell binding music that is like no other soundsystem culture in the region. Expect a live set dancehall horns, sirens and heavy MC rapping. For lovers of ravey Afro sounds, balani, shangaan and gqom. between North African rhythms, analog synths and drummachines. While the previous album “Afrorave” was a dark and flashy mix of different styles and rhythms coming from of Togo, Ghana, Ethiopia “Athnan” instead concentrates exclusively on Maghreb and Sharqi music originally from Morocco, Algeria and Egypt. Head DJ of the Nyege Nyege label and resident at Boutiq Electroniq Sound System, Moroto plays some deep grooves and slamming African bass-tech-house mutations. Rebel Up has become a household name through their nights of contemporary global sounds between Brussels & Amsterdam. They host the Nightshop radio show on Radio Campus Bxl, curate countless nights & parties. Soon Rebel Up Records will be kickstarted, with releases from Ghana, Portugal, Angola, Cabo Verde, Iraq, Mexico and Peru coming up!. Expect a warmup & cool down set of the freshest African sounds.